In a surprise move the British Ministry of Defence has announced it is closing down its base in Belize as part of cost saving measures. The move is particularly alarming for Belize which has always looked to Britain as a bulwark in its defence against a possible invasion from neighboring Guatemala that has a long-standing territorial claim against Belize. 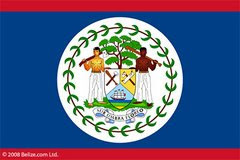 Belize is a former British colony and gained its independence in 1981. It is a member of the British Commonwealth and has a small and underfunded army of about 1,000.